Over the weekend, Aston Martin took the wraps off the newest creation to come from its Q department—the English automaker's in-house custom shop. 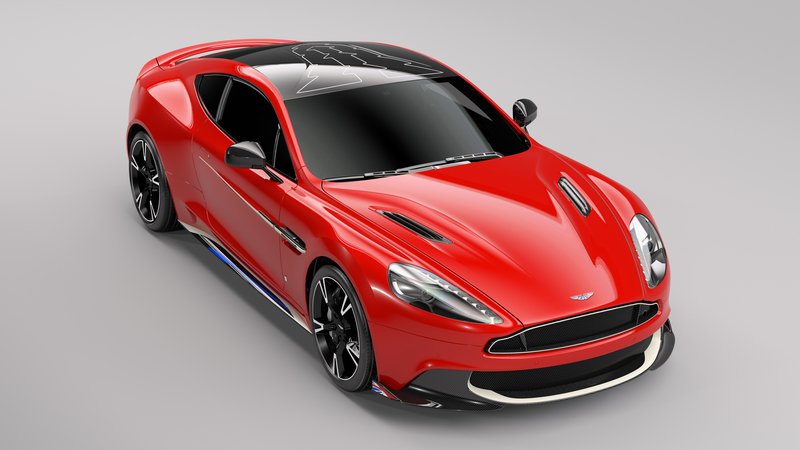 Dubbed the Vanquish S Red Arrows Edition, this limited-edition supercar is a tribute to the Royal Air Force's aerobatic arm called the Red Arrows, which is akin to America's very own Blue Angels. 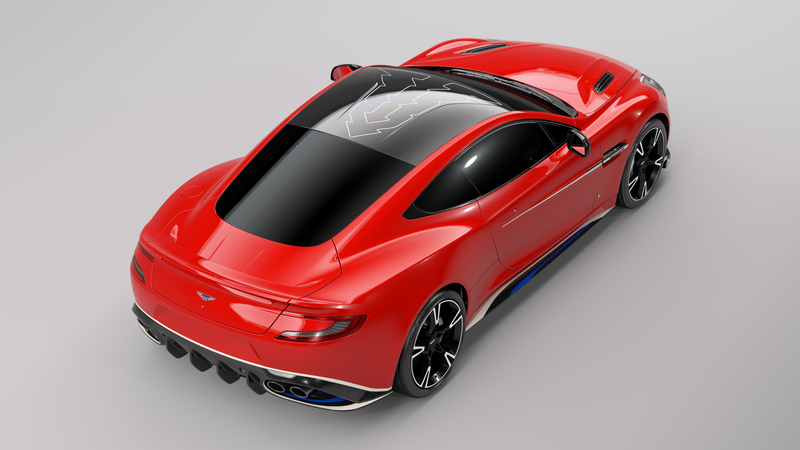 With only 10 examples being built, each model will feature new graphic elements on both the interior and exterior that are inspired by the Red Arrows, including Union Jack enamel badges on the front splitter, a titanium exhaust, and a special graphic on the roof that mimics a "charge" pattern that's supposed to suggest the design of a jet cockpit. Further touches include Red Arrows-themed embroidery on the transmission tunnel and an "Eclat Red" exterior. Though the Q department made no performance upgrades save for the titanium exhaust, the overall effect is visually alarming...in the best way. That "Eclat Red" is on the right side of being tasteful, and the car's extensive red, white, and blue theme is just enough to show its exclusivity. 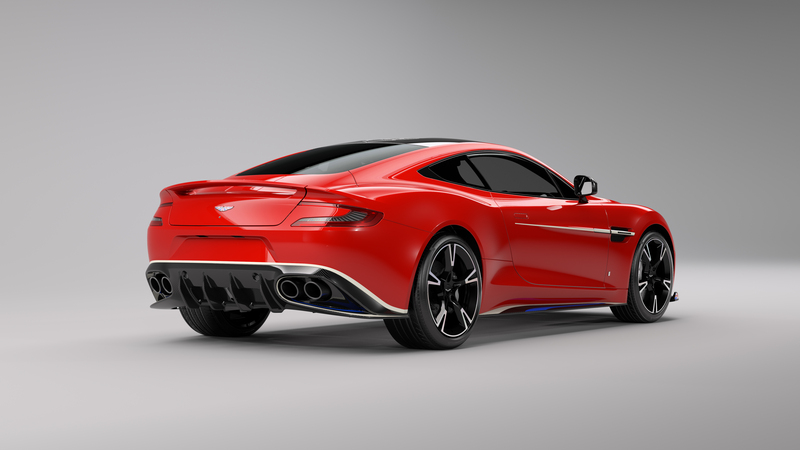 Though Aston will only build 10 Vanquish S Red Arrows and be sold exclusively through Aston Martin Cambridge, the final model will be donated to the RAF Benevolent Fund.